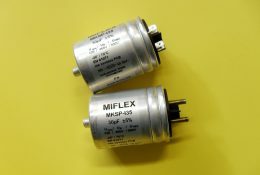 High-voltage igniters designed for use in free-standing or built-in gas cookers, hobs etc. 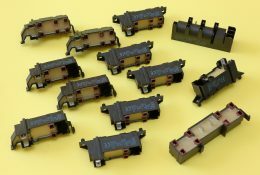 (with one or many burners), either supplied from the mains: 230VAC (W08, W10, W19 series), 110-230VAC (W17 series), or 1,5 to 12VDC battery operated (W09 series). 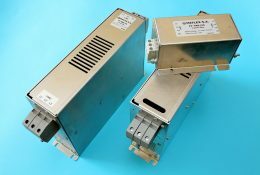 New series are under development, and at our customer’s special request we can also offer spark igniters in other versions, as well as special high-voltage igniters for gas water heaters and gas boilers. Products designed for special applications in electrical, electronic, power electronic and automotive industries, testing and measuring equipment; they are usually produced to customer’s specific requirements. In the manufacturing process various dielectric materials are used: capacitor paper, metallized polyester or polypropylene film. 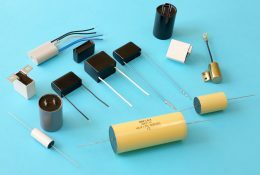 These products feature various electrical parameters (capacitance, voltage) and mechanical versions (in rectangular or cylindrical cases, wrapped with plastic tape). At request we can design new, customized products. Three-phase EMI filters used for suppression of symmetrical and asymmetrical component of interference conducted through power lines. Manufactured in metal housings. They meet the requirements of the standards: VDE 0565-3, IEC950, UL1283. 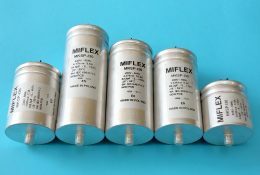 These filters, based on either paper or polypropylene dielectrics, are designed for suppression of radio frequency interferences in electrical equipment, particularly in household appliances (washing machines, dishwashers, tumble dryers, etc. 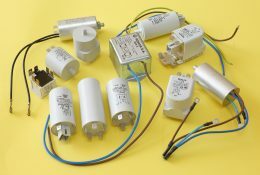 ), but can also be used in other professional equipment.Within the capacitance ranges and mechanical solutions offered (details available in technical data sheets), at request we can also supply other values in class X and class Y. We also develop customized versions according to customer’s specifications. The design of the capacitors for use in audio equipment is fine-tuned to minimize the parasitic impedance components: inductance and resistance, resulting in improved quality of sound. 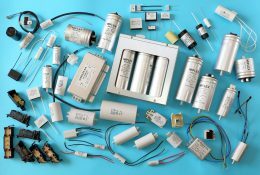 High quality and durability of the capacitors is assured by the use of carefully selected materials, production technology, as well as testing and measuring methods. 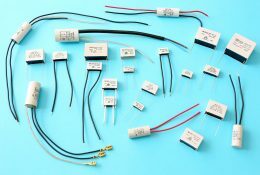 This product group includes, among others, a variety of ignition capacitors for cars or delivery vans as well as mopeds; snubber capacitors for use in power electronics applications; DC-Link capacitors for use in power electronic devices, in particular to store energy and to filter rectified voltage. 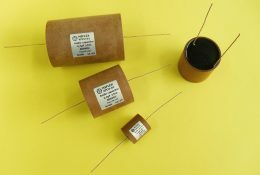 Self-healing capacitors used for power factor correction, including single-phase capacitors, single-phase multi-step capacitors (with 1 to 5 steps or more, at customer’s request), and three-phase capacitors. 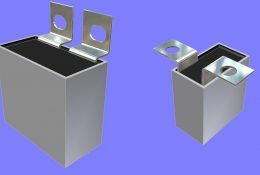 They are manufactured using an aluminium case filled with resin, with a mechanical disconnection device. Compliant with the European standards EN60831-1 and EN60831-2, and are furthermore subjected to additional quality tests which were devised on the basis of our experience in design and exploitation.